Bearish and bullish factors are both at play in the global oil market, weighing on prices. The next big date on the calendar is November 4 — the point at which the 180-day wind-down period ends and U.S. sanctions on the Iranian energy sector are to be reinstated. Two days later, the U.S. midterm elections are due to take place. A lot is riding on what happens in the United States in November. The Trump administration appears to be betting on a high-compliance outcome in its effort to drive Iran to the negotiating table. The effectiveness of sanctions, as well as the way oil markets might adapt to them, will depend heavily on the actions of China and India, the world’s second and third largest oil consumers, which together account for more than half of Iran’s crude exports. Sharp, rapid price swings appear to have become the new normal in the world oil market. Prices soared to $115 per barrel in 2014, before plunging two years later to less than $30. Earlier this year, prices rebounded to $80 as the result of the November 2016 production cuts agreed by OPEC+ (also known as the Vienna Group), strong global demand growth, and the continuing collapse of production in Venezuela. Although the unusually cooperative effort by the Vienna Group to curb output provided welcome revenue gains for producers, it generated strong opposition from major oil consumers, particularly from US President Donald Trump, who complained in a series of Tweets of “artificially high” prices and called upon OPEC to “increase output substantially.” Against this backdrop, OPEC+ ministers met in Vienna on June 22, where they cobbled together a deal to raise production to meet high demand, stabilize the oil market, and offset unplanned disruption. Nevertheless, production outages cloud the supply outlook. Kazakhstan’s production has dipped, due to repeated output disruptions in the Kashagan field. Angola continues to face technical and operational issues, especially at its offshore fields. Strikes in Norway and Iraq earlier this year temporarily crimped production. An unexpected site-wide power outage in June at the Syncrude plant in Alberta, Canada locked in more than 300,000 bpd until September. Geopolitical tensions have also rattled the oil market. Armed clashes between rival groups in Libya resulted in the shutdown of the Es Sider oil port, and fires destroyed two large oil storage tanks at the nearby Ras Lanuf terminal. Although the port later reopened, the threat of future disruptions has not abated. Nigeria, which experienced a slew of stoppages in 2016, remains under threat of renewed militant attacks against oil infrastructure as well as industrial actions. The wave of protests that swept across Iraq’s southern provinces in early July, coupled with the reemergence of ISIS, are a reminder of the country’s precarious stability. In July, Saudi Arabia temporarily halted shipments through the Bab al-Mandeb Strait after two of its giant crude oil tankers were attacked. Meanwhile, Venezuela’s oil output has been in free fall, shedding 40,000 bpd every month for the past several months. The United States: Stabilizing or Disrupting the Market? The optimistic view holds that the United States is well positioned to help offset temporary losses of volumes from the market. Indeed, U.S. crude oil production continues to set records, surging to 11 million bpd in July. However, soaring output has overwhelmed pipeline capacity, and opinion is divided as to when these bottlenecks will be overcome. Meanwhile, despite U.S. producers pumping at record levels, oil has been hovering at over $70 a barrel. Even as surging U.S. crude oil output has had a calming effect on the oil market, policies coming out of the White House — especially regarding Iran — have unsettled it. 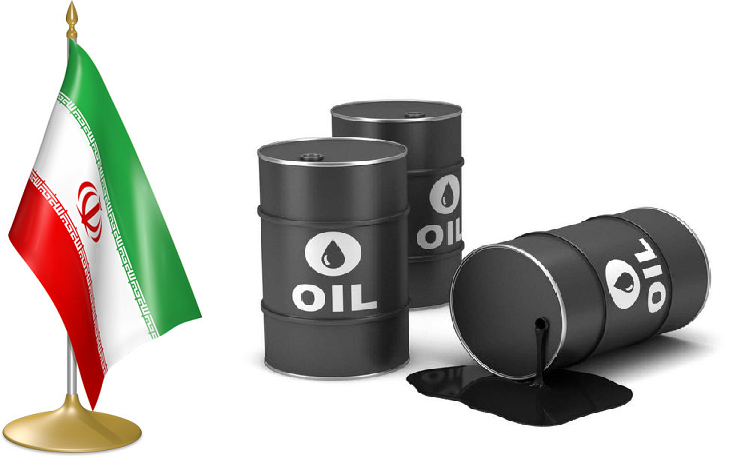 Following the May 9 announcement of the U.S. withdrawal from the Joint Comprehensive Plan of Action (JCPOA), oil prices jumped 3.5 percent. Since then, tension between the U.S. and Iran has ratcheted up. Amid an escalating war of words, the Iranian Revolutionary Guards Corps (IRGC) conducted naval exercises in the Gulf in early August, causing oil prices to see-saw. It is difficult to determine whether the mixed messages by American officials reflect divisions within the Trump administration, calculated ambiguity, or the belated realization that holding to maximalist positions might jeopardize other, equally compelling interests. The objective of removing all of Iran’s oil from the global market ultimately might prove irreconcilable with keeping gasoline affordable in battleground states on the eve of mid-term elections and later heading into the presidential campaign season. India and China: Toward a High-Compliance Outcome? Teams of American officials visited European and Asian capitals throughout the summer to persuade countries to cut oil imports from Iran to “zero.” On August 6, the day the first round of “snapback” sanctions took effect, Britain, France, and Germany released a joint statement, declaring: “We are determined to protect European economic operators engaged in legitimate business with Iran” The next day, a “blocking statute” designed by the European Union to nullify U.S. legal action against firms doing business with Iran came into force. Yet, by then several major (non-energy) European companies had already elected to suspend activities in Iran, with others seemingly on the verge of “voluntarily” succumbing to American pressure. By summer’s end, several major European refiners (e.g., Total, Saras, and Eni) had cut their purchases of Iranian oil, and Total had confirmed its withdrawal from the South Pars gas field project, after having been unable to obtain a U.S. sanctions waiver. The responses in Asia have been mixed. South Korea suspended Iranian oil purchases in July. Japanese distributors reportedly have been preparing to halt Iranian oil imports. However, it is India and China — together accounting for just over half of Iran’s oil exports — that will play key roles in determining the amount of Iranian oil that is eventually taken off the market and its impact on the global supply-demand balance and on prices. In June, Assistant Secretary for Terrorist Financing Marshall Billingslea led a delegation of senior American officials for talks with Indian officials on the implications of the impending sanctions on crude oil imports from Iran. The same month, during discussions in Delhi with Prime Minister Narendra Modi, U.S. Ambassador to the United Nations Nikki Haley stressed the importance of India curbing purchases of Iranian oil. India has maintained the official position that it is not bound to comply with new sanctions because they have not been endorsed by the United Nations. Indian officials have been seeking an exemption from U.S. sanctions while at the same time considering alternate payment mechanisms to circumvent dollar-denominated trade. During the period April-June, Indian refiners — taking advantage of steep discounts, longer credit periods, and cheap shipping — soaked up as much Iranian oil as they could, ahead of the November deadline. However, the Indian oil ministry’s request that refiners prepare for a “drastic reduction or zero” imports of Iranian oil has prompted moves by Reliance Industries, Nayara Energy, Indian Oil Corp., and Hindustan Petroleum Corp. Ltd. (HPCL) to scout for alternative supplies. For their part, Chinese officials have responded to U.S. pressure to curb oil imports from Iran by reaffirming Beijing’s commitment to fulfill its “obligations under international law” and by expressing opposition to unilateral sanctions. Beijing rejected the U.S. request to reduce oil imports from Iran, though reportedly agreed not to increase them. Clear indications that China intends to continue buying Iranian oil have emerged, notably the recent decisions by China’s state oil trader Zhuhai Zhenrong Corp. and its largest refiner, Sinopec Group, to switch to National Iranian Tanker Company (NITC)-operated vessels to carry Iranian oil. Washington’s hard line Iran sanctions approach and tariff escalation against China has appeared to set in motion a process of “musical barrels” whereby some Chinese buyers — collectively the largest customer for U.S. crude — are turning to alternative sources (including Iran) while India, Japan, and South Korea explore partially replacing Iranian cargoes with North American volumes. Although Beijing has removed U.S. crude oil from its tariff list, it could still use the threat of such action as leverage in its intensifying trade war with the Trump administration. The global oil market has entered a period marked by low spare capacity, multiple supply risks, and a mercurial U.S. president. Instability in key producer countries could result in potential shortfalls that might outstrip the production increase agreed to by OPEC and Russia in June. Furthermore, even minor individual outages or disruptions, were they to occur simultaneously, could have an outsize impact on the supply-demand balance, triggering significant price changes. The emergence of the United States as an oil production superpower has endowed it with the ability to serve as a stabilizing force in the market. However, recent signals and policies coming out of the White House have done as much to cause market jitters as to calm them. The “maximum pressure” sanctions campaign against Iran and escalating tariff wars unleashed by the Trump administration have contributed to further oil market uncertainty and have caused buyers and investors to reposition themselves. Beijing and Delhi are at the center of two interrelated struggles — one pitting the United States against Iran, and the other pitting Saudi Arabia against Iran over oil market share and pricing. These struggles, moreover, are occurring against the backdrop of an escalating U.S.-China trade war and intensifying India-China competition in which the latter two countries regard expanding their footprint in Iran as a strategic priority. Though India and China have both sought to avoid capitulating to U.S. pressure, their respective energy and broader strategic interests have led them to follow divergent paths in responding to the Iran sanctions challenge — India by substantially cutting its purchases of Iranian oil possibly in exchange for a conditional waiver, and China by continuing to purchase oil at current levels. The Trump administration apparently hopes that forcing all the major buyers out of the market except China and releasing oil from its Strategic Petroleum Reserve (SPR) will tighten the noose around Tehran while preventing a price spike. Yet, this highly coercive gambit still might not cause Iran to surrender to U.S. demands. In the meantime, there is little to prevent Chinese companies from “backfilling” oil and gas projects abandoned by European and other foreign firms. Furthermore, pursuing the high-compliance outcome is likely to come at the cost of driving Beijing and Tehran closer together, further straining relations with U.S. allies and partners, and injecting additional uncertainty into a volatile international oil market. OPEC+ (or the Vienna Group) refers to Organization of Petroleum Exporting Countries and non-OPEC producers, notably Russia. Donald Trump, Twitter, April 20, 2018, https://twitter.com/realDonaldTrump/status/987284041304100864. Donald Trump, Twitter, June 22, 2018, https://twitter.com/realDonaldTrump/status/1010163024173457409. David Sheppard, “Norway becomes the latest oil supply threat,” Financial Times, June 10, 2018. David Sheppard, Ahmed El Omran, and Anjli Raval, “Saudis suspend Red Sea oil,” Financial Times, July 25, 2018, https://www.ft.com/content/f0858962-9005-11e8-b639-7680cedcc421. See OPEC Monthly Oil Market Report, July 2018; and “Venezuela: The Key to Oil Prices,” Seeking Alpha, July 16, 2018, https://seekingalpha.com/article/4187519-venezuela-key-oil-prices. An OPEC technical panel reported in June that demand is on pace to remain strong through the end of 2018. Svetlana Paraskova, “OPEC Confident Global Oil Demand Will Stay Strong,” Oilprice.com, June 19, 2018, https://oilprice.com/Energy/Crude-Oil/OPEC-Confident-Global-Oil-Demand-W.... See also International Energy Agency (IEA), World Energy Investment 2018 (July 2018) 78.
 International Energy Agency (IEA) Oil Market Report, July 12, 2018, https://www.iea.org/oilmarketreport/omrpublic/currentreport/. International Energy Agency (IEA), “OMR: Stretched to the limit,” July 12, 2018, https://www.iea.org/newsroom/news/2018/july/omr-stretched-to-the-limit.html. US Energy Information Agency (EIA), “U.S. Weekly Field production of Crude Oil,” https://www.eia.gov/dnav/pet/hist/LeafHandler.ashx?n=pet&s=wcrfpus2&f=w. Barbara Starr, “US officials say Iran has begun naval operation in the Middle East,” CNN, August 2, 2018, https://www.cnn.com/2018/08/02/politics/us-iran-navy-hormuz/index.html. Ian Talley, “U.S. Toughens Stance on Future Iran Oil Exports,” The Wall Street Journal, June 26, 2018, LexisNexis. Nick Wadhams, “Mnuchin, Pompeo Reject European Bid for Iran Waivers,” Bloomberg, July 13, 2018, https://www.bloomberg.com/news/articles/2018-07-13/mnuchin-pompeo-said-to-reject-european-bid-for-iran-waivers; and “Iran nuclear deal: US rejects EU plea for sanctions exemption,” BBC World News, July 16, 2018, https://www.bbc.com/news/world-us-canada-44842723. Josh Lederman, “US pushing nations to cut Iran oil import to zero by November 4,” AP, June 26, 2018, https://www.apnews.com/c3ca4230ce2c401c9c1378f7cdc54284. Regarding Germany, see for example, Frank Wiebe, “Bundesbank falls into line on US Iran sanctions,” Handelsblatt Global, August 3, 2018, https://global.handelsblatt.com/finance/bundesbank-us-iran-sanctions-951319. Jane Chung and Osamu Tsukimori, “South Korea suspends Iranian oil loading in July for first time since 2012: sources,” Reuters, July 5, 2018, https://www.reuters rs.com/article/us-southkorea-iran-oil/south-korea-suspends-iranian-oil-loading-in-july-for-first-time-since-2012-sources-idUSKBN1JW07R?rpc=401&. On August 20, Washington offered 11 million barrels of high sulphur (i.e., sour) crude from its Strategic Petroleum Reserve (SPR) for delivery from October 1 to November 30. See Greg Meyer, “US approves sale from strategic oil reserve as sanctions loom,” Financial Times, August 21, 2018, https://www.ft.com/content/841f72d6-a4a7-11e8-926a-7342fe5e173f.